This T5 transmission adapter allows you to adapt a GM T5 with the Ford bolt pattern to your Chevrolet passenger car or pick up bell housing. 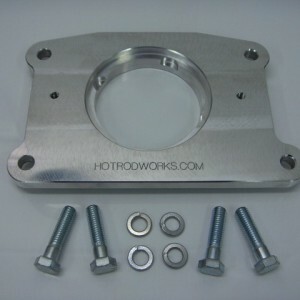 Our transmission adapter is designed specifically for a Chevy bell housing with the Muncie or Saginaw bolt pattern. Our transmission adapter kit is 100% made in the USA. 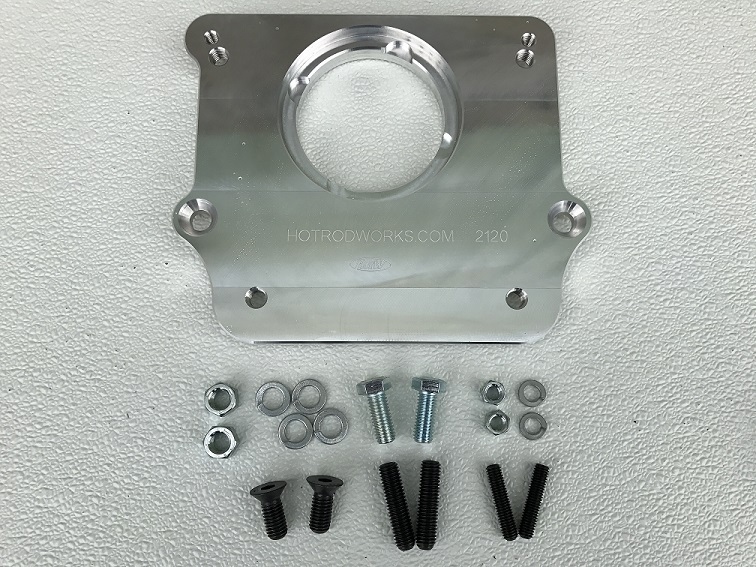 Our adapter plates are precision-machined from high strength 7075 aluminum alloy. 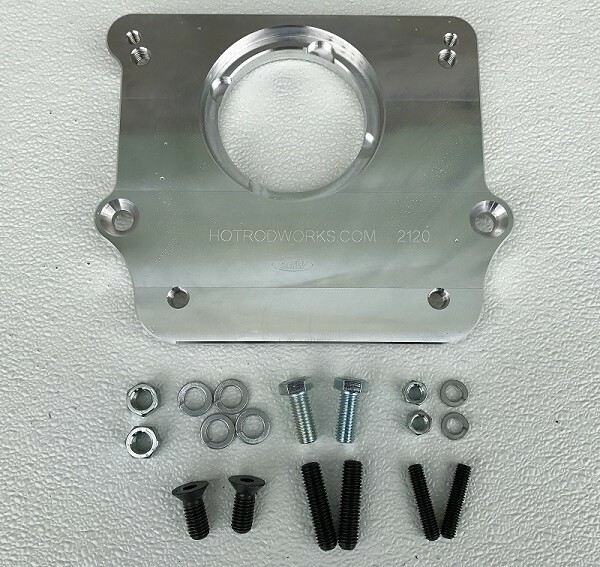 1) This transmission adapter kit requires a transmission with an input shaft length of 7 1/8” from the trans mounting surface to the end of the shaft. If your transmission input shaft is shorter, you should install an extended pilot bushing into the crank shaft. 2) If your transmission used a hydraulic clutch, you must replace the front bearing retainer with one that has a conventional clutch release bearing sleeve. 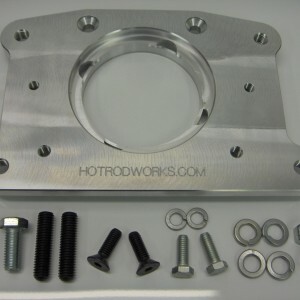 These are available from Hot Rod Works – please click here to view this product (SKU #: 2115). 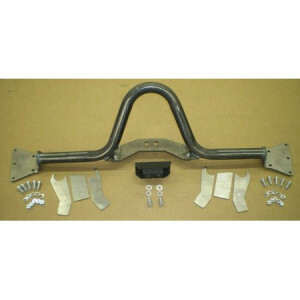 Is this Ford pattern T5 to Chevrolet Muncie Bell Housing Transmission Adapter exactly what you’re looking for? Add this product to your cart or call us at (208) 455-7971 to order today!